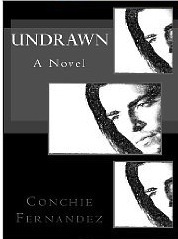 Conchie Fernandez’s novel, Undrawn, offers that Indy-e-Pub rarity, a well-written, expertly edited, bona fide page-turner. Readers who appreciate getting lost in a Dominic Dunne-esque gilded universe populated by the uber-rich and politically powerful–and who relish witnessing its hidden, corrosive underside–will take to Fernandez’s convincingly rendered drama of the dynastic Reed family. Boston Brahmans and American oligarchs, Reed family connections, we soon learn (thanks to the author’s talent for telling detail), reach all the way to the United States Senate. Fernandez skillfully anchors her story in a fully fleshed protagonist who gets the story off and running from page one. Artist and Reed family black sheep, Kyle Davidson Reed is presented as a man who at nearly forty remains haunted by a string of youthful disasters (a mélange of failed and abusive relationships, substance abuse, brushes with the law)–as well as chronic illness, and long-standing familial alienation. Summoned home after a four-year absence by the terminal illness of the family patriarch, ex-Senator, Brandon Whitman Reed, any hope Kyle harbors for reconciliation with his father is quickly dashed by the senior Reed’s demise. 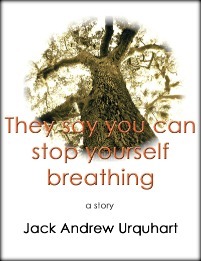 In short order, Kyle finds himself embroiled anew in a long-standing bitter conflict with older brother and heir-apparent to the Reed family legacy, Senator Stuart Reed. As rendered by Fernandez, Kyle Reed hangs by reason of self-disgust on a cross from which no amount of professional success as an artist can save him (that Fernandez exploits the crucifixion motive more than once in her characters’ paintings seems a forgivable cliché). What Fernandez manages to portray without cliché or heavy-handedness is a man in self-imposed exile–a man who stands apart from those ready and willing to help end his suffering. These include Troy, his gay brother, niece Jeannie, and love-interest, Shorty–a woman whose relentless efforts at intimacy Kyle seems determined to resist. That this cast of supporting characters arrives on the page fully alive is a testament to Fernandez’s talent. Likewise, that she is able to orchestrate a satisfyingly self-redemptive resolution to Kyle’s story underscores her expertise as a storyteller and (barring a short stretch of summary in the last quarter of the novel) her mastery of technique. Sit down with Conchie Fernandez’s Undrawn and you may be surprised, as was this reader, at how quickly the hours fly.